And then I had my brother snap some pics of us when he was here last weekend. It was pre-coffee for James and pre-breakfast for me, so needless to say, there were MANY out-takes that won’t be making this year’s card, like the failed jump shots, the ones where I am being bossy and giving instructions, the ones that could double as our angsty covers for our couple musical duo that will never happen, ones where it looks like we are choking each other, and the ones that are just bad — all classic James and Hannah out-takes. According to Real Simple, my authority on everything, you should just skip the holiday card or traditional Christmas family newsletter, as it is outdated and time consuming. I just can’t accept that. I love getting Christmas cards and letters, actual physical ones that I can pour over and then hang on the fridge. Last year I just used some of our wedding photos on a post-card, but this year I am looking into some other card options. I love these from Suzie Stationery, where you get a customized image that you can reprint from wherever. This one and this one from Etsy are a similar idea and I like the verses. I also like a lot of the styles from Minted, but they are a little pricier than I want to spend. A friend just had some done by Tiny Prints that were adorable, but then I occasionally consider just designing our own again, maybe doing some cool hand lettering using my new SigNote app (Thanks Mary Beth for sharing! I’m obsessed). What about you, are you sending Christmas cards this year? Where are you getting them? Give me all your tips! This entry was posted in Uncategorized and tagged Christmas, Holidays, photography. Bookmark the permalink. Thinking about sending holiday cards this year….which would be the first time ever I’m doing this. 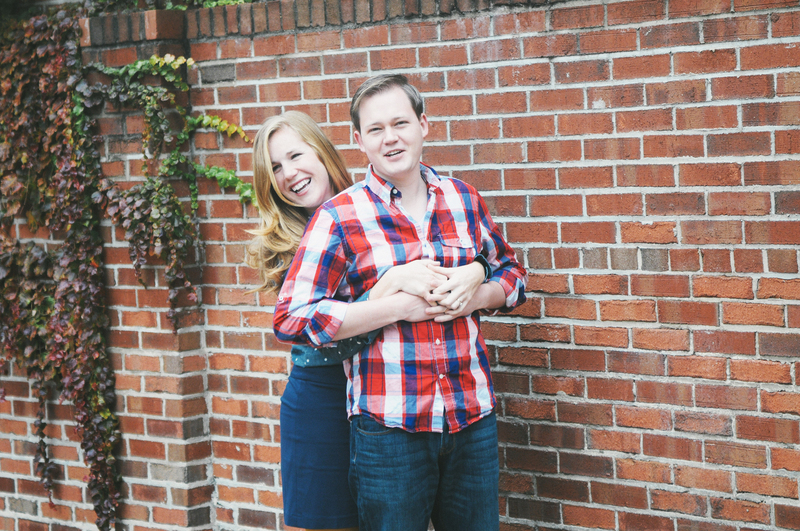 I married into a Christmas card tradition (newsletter and everything! ), and it took me a while to find my footing with it. I have realized over the years that I don’t really care how designed my cards look; a handwritten note is way more important to me. I am also not killing myself with hand-addressing all of the envelopes because that task falls solely to me and my legible handwriting (ahem, husband, whose tradition this is, AHEM). Card: I threw something together with 5×7″ dimensions on Picmonkey (selfie from our beach vacation and a picture of the dog) and got them printed through Printrunner as a flat card, uncoated stock, with a 10% discount. I like to stay under $1 per card, and this came to about 50 cents each. The shipment is due today, and I really hope they came out nicely. Addressing: I’m running a mail merge on sheets of address labels, and I got us a self-inking return address stamp (after only 8 years of having this address!) that should last us the next 10 years of Christmas cards, so help me. Assembly. The husband will stamp return address, affix address labels, and postage. Then I will write out the cards and include any other necessities (like, some people are expecting babies soon, and I am enclosing some book plates). Then he will seal all of them, and one of us will mail them. Target mail date: December 7. We’ll see how that works out. Update! The Printrunner cards are good enough for me. The picture quality is a bit grainy, but that might be because of aforementioned slapping together in Picmonkey. But I don’t care that much, so it’s fine with me. The stock is adequate. I wouldn’t eliminate them as a possibility next year; I might just get a thicker stock and try to con a designer friend into making a better design file for me. I’m liking this plan, and will definitely look into Printrunner! Use the last picture. No question about it. Why am I not surprised that you love that one? I will never, ever find Christmas cards outdated. I love to send & receive. I try to include handwritten notes to those people I’m very close with that I don’t see often. Sometimes I write a letter & sometimes not. I always have pictures. I used to religiously hand address, but now I often print labels. Still, there is something beautiful about finding an actual hand addressed envelope in the mail box. Happy sending! You’re right — it’s totally the best feeling!!! And I agree — there has to be a photo! We are doing a photo Christmas card with a picture from our wedding because we didn’t do picture thank you cards for the wedding. Good call. Might as well use those many wedding photos! I ordered mine from VistaPrint this year, but in the past I have tried Shutterfly, Etsy, and others. My main thing is price. I don’t usually like to spend more than $50 or so and we usually send out around 50+, so it is hard to get that price down with shipping and everything! I usually search for coupon codes on a few different sites before buying. I am totally with you – getting a real life card in the mail is always exciting and I hope that tradition never goes away. I don’t think it’s outdated. And I think lots of people still do it because they care about them too! P.S. Those outtakes are hilarious! We used VistaPrint last year and I was super happy with it! It’s also where I always order invitations for showers and stuff. I love getting photo cards from people we don’t see often, so I send them too. 🙂 This year I am being super cheap (frugal? that sounds better) and just ordering ’em from Walgreens. When I have more cash lying about, I’ll try Minted or Tiny Prints. You know, I’m sure Walgreens is just as good. What counts is getting that cute big eyed baby of yours on fridges everywhere!!! 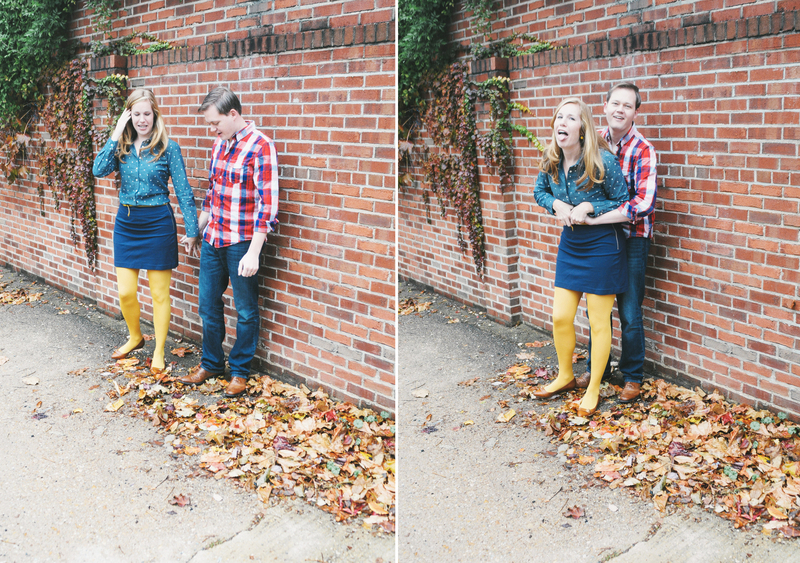 Love the idea of outtakes – that’s hilarious! There are definitely a couple letters/cards that I look forward to every year! I absolutely LOVE Christmas cards (really all handwritten mail). I love photo cards and a handwritten note, I want to hear about the families of my friends across the country. We had one perfect morning of snowfall with the snow clinging to the trees here in central OH so I made my twin 3rd graders go out and hold their baby brother so I could get pics for a card. The backdrop was gorgeous, the kids really didn’t cooperate so much… I had an email offer for 20 free cards from Snapfish so I used that; though I don’t love them, they will work. I plan to keep my eye out for other good deals. I went and looked at your cards from last year – gorgeous – and I love that you planned ahead for Christmas. I may borrow your for unto us idea, as this is the first time we are expecting at the holidays. Thanks! It would be the cutest announcement ever! Also, once we’re in the new year, I cut out any family pictures from holiday cards and put all our pictures up on our fridge to look at the rest of the year. It’s been fun this year to point different people out to Susie. I am totally messaging you my address!!! Got married this year and I think one of the biggest pluses of a wedding (not really, but yeah kindof really) is that you already have several christmas card options…no stressing over getting a good christmas card worthy pic – which is good because the joke growing up was that the christmas card pic session always ended up with someone in tears. I love receiving and sending Christmas cards! I’m not sure what I’ll do next year if there is no major life-couple event for Kevin and I. Last year we got engaged, so naturally, one of those was our Christmas card. This year we got married, so guess what photos I have to choose from for this year’s card? I’m set! Until next year, at least. I’m sure that yours are as cute and domestically perfect as everything you do! Seriously, can you come DIY my house?? Noooooo— I love the Hummel card!!! You could totally do an Easter card with an Easter hymn! 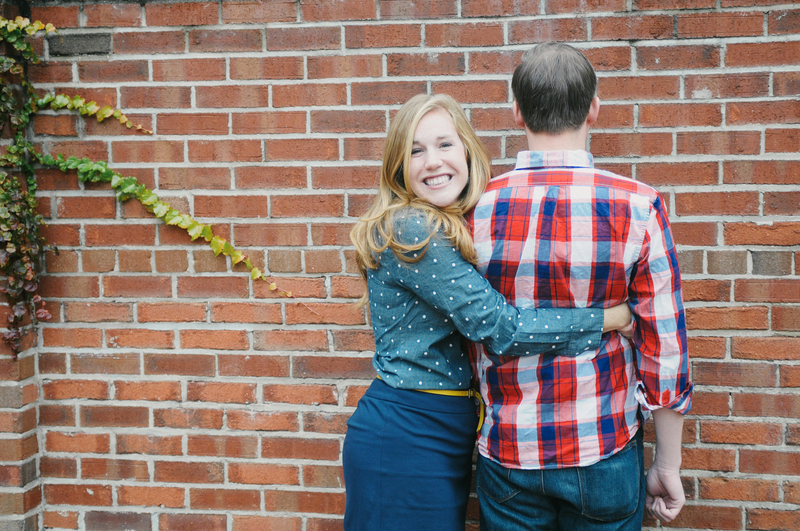 I, too, am wearing yellow tights in our Christmas card photo for this year. True color-loving soul mates. Yellow tights for life! I’m making the bestie hand heart right now. I also just bought awesome new yellow flats that you would LOVE. I’ll be checking my mail for the Pugel card! Oh I will have to check them out! oh hey now. that picture of you jumping, james not. my favorite ever! we’re sending some cards, not sure how many… i love sending them to absolutely everyone, but then it just get’s so pricey! but real simple is totally failing with their statement. man, so dissapointing! although i have heard of families that send yearly cards for minor holidays when things aren’t quite as crazy, and that also seems like an acceptable substitution. but i too, absolutely love getting christmas cards. we hang them over a doorway on a garland and i love seeing the faces of friends old and new all the time. Please tell me that Seb in suspenders is featured prominently on your card!!! I am so happy to hear that it is now outdated. We can stop moving house so frequently, which was our previous method of avoidance. But I don’t want that to take away from your happiness 😉 . You’re free!!!! That’s how my mom feels too. We are actually using one that isn’t on here… I’ll share it eventually!